One reason Philipsburg, Montana won Sunset Magazine’s 2015 Travel Award as the “Best Municipal Makeover/Reinvention Town” is because makeover and reinvention turned this former mining town on its way to its last breath into a worth-the-drive-to travel destination. The Sanctuary Inn, a former church with an historic landmark designation, transformed into a boutique inn, is just one example of Philipburg’s reinvention charm. 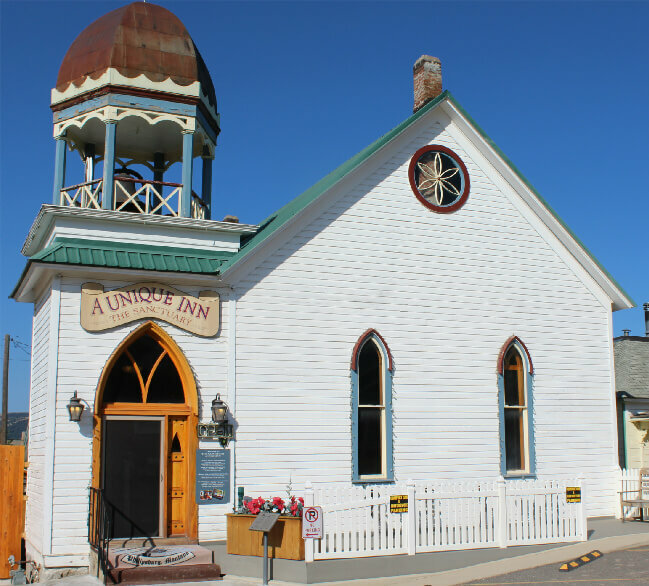 Back in 1893, when Philipsburg was a booming mining town, the doors of what was called “The White Church” first opened to a Presbyterian congregation. As the population of Philipsburg dwindled, the church eventually closed in 1990. There it sat perched above downtown with a view of the Pintler mountains with nothing to do but languish where the Montana sun fades white to washed out. Fortunately, this architectural gem with its hexagonal copper dome steeple and Gothic style stained glass windows became the creative muse for Dave Chappell who hired a local artist Liz Silliman to help with the transformation. 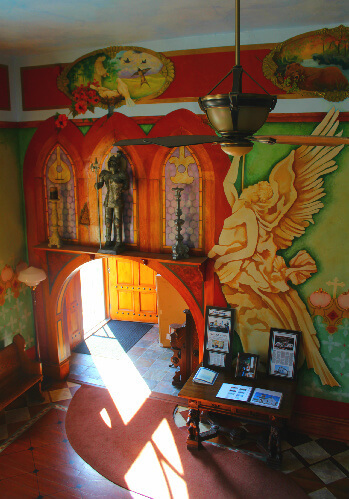 Silliman’s hand-painted murals that evoke a pastoral dreaminess in every room are just part of the allure of The Sanctuary’s uniqueness. 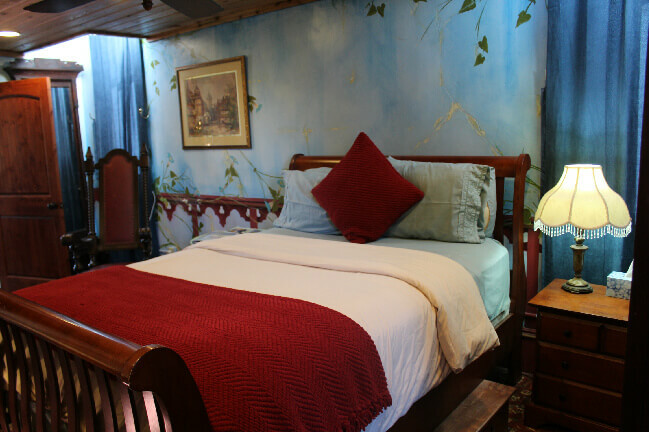 Antique furnishings, historic photographs and period lamps are paired with modern amenities like flat screen TVs, free WiFi and memory foam mattresses. Two hot tubs and a sauna add R&R possibilities and the two full-kitchens and barbecue offer cooking in possibilities. Because there are only five guest rooms, three of them with private baths, the feel is exclusive as well as special. The common areas provide gathering places for visiting or R&R in the midst of Silliman’s creativity. For the before settling in for the night–or for something to do when you’re not out exploring Philipsburg’s unique offerings from a craft brewery to the best candy store ever to sapphire mining, or doing more active seasonal endeavors from fly fishing to downhill skiing, The Sanctuary has a pool table, poker table and a dart board set up. This is an adult only establishment. No one under 18 is permitted to stay here since the accommodations are not set up for the younger crowd. Rates for The Sanctuary start at $129. 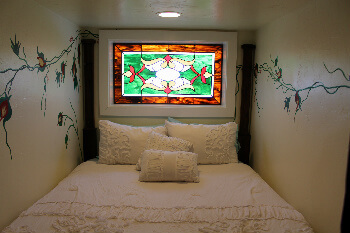 There are also two one room cabins that rent for $79. Room rates include a continental breakfast. Reservations can be made on the website, or by calling 406-859-1003.